Escondido CA Chiropractor, Dr. Stephen Heilman of Heilman Chiropractic offers the most therapy options of any office for the treatment of Back pain and Sciatica in Escondido. From traditional chiropractic spinal adjustments to activator adjustments, Spinal Decompression, High Intensity Laser Therapy, Active Therapeutic Mobilization, and Rapid Release Technology for softening scar tissue adhesions. No other office in Escondido offers this complete program for disc herniation treatment. 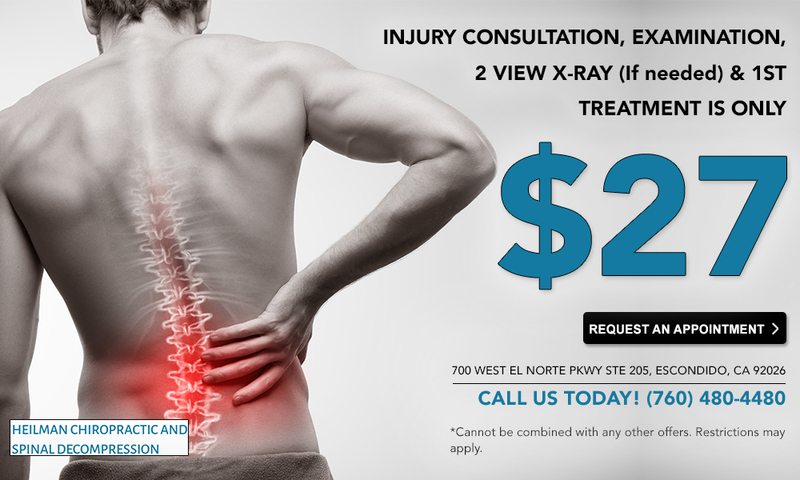 Call 760-480-4480 for our free back pain evaluation.